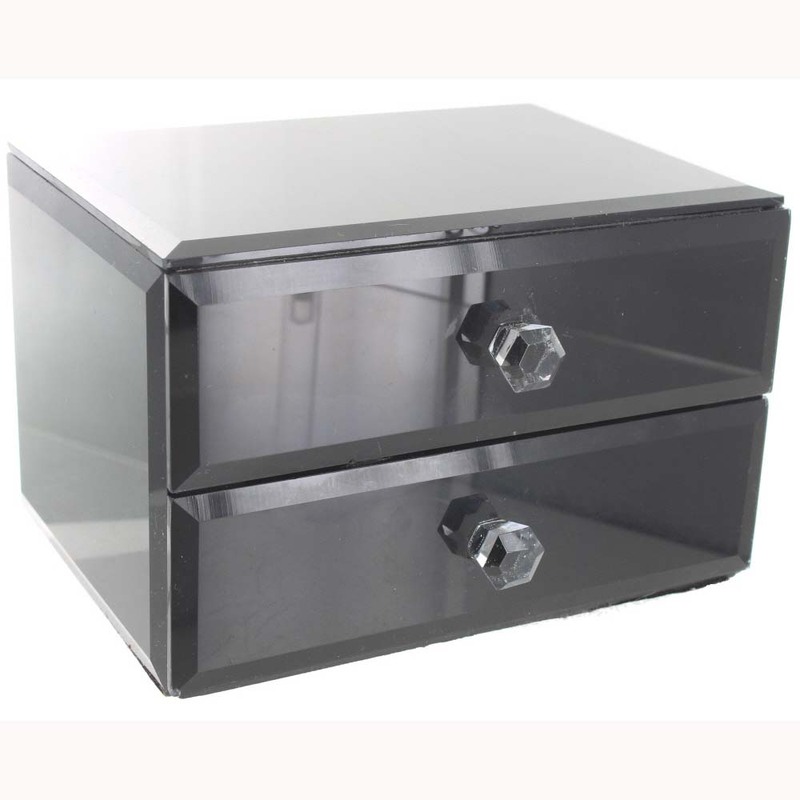 A small black glass chest of 2 drawers (h10cm,16x13cm approx.) Each of the drawers has a black lining and a clear, faceted glass knob. Ideal for jewellery or other treasures.